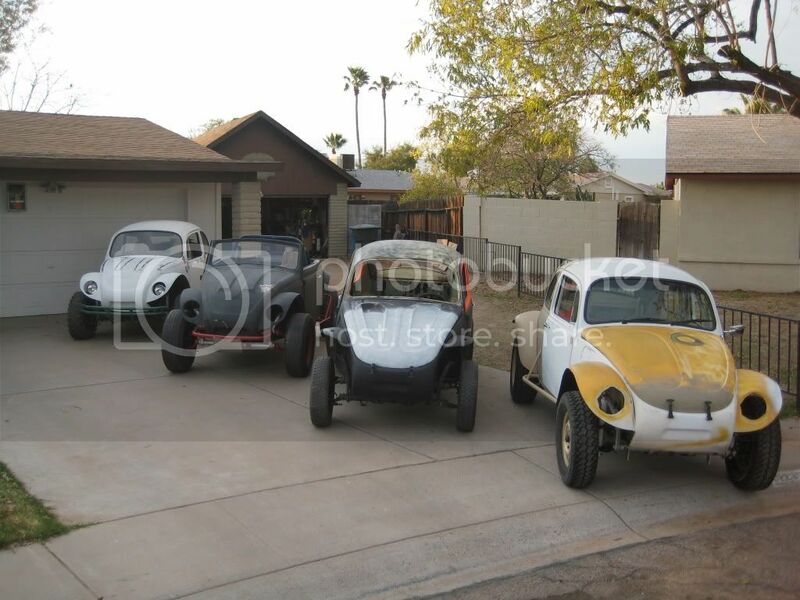 AzBaja.com, Home of the VW Baja Bug -:- Baja Forums -:- AzBaja.com Members -:- Projects and Builds -:- Current projects at my house. Baja Forums -:- AzBaja.com Members -:- Projects and Builds -:- Current projects at my house. Current projects at my house. Post subject: Current projects at my house. From right to left: " Trail Cruzer" , "Willy Style" , "Project II" and "Third Time"
Post subject: Re: Current projects at my house. I envy all you guys who have a place to work on your projects. Wish I had a garage. Wish I knew how to weld too. Good selection of projects there. Yeah, rub it in rub it in. We are all jealous! Haha! Nice collection, I like the Willy style a lot. Projects and Builds More pics of projects. 3 catchbats 3312 More pics of projects.